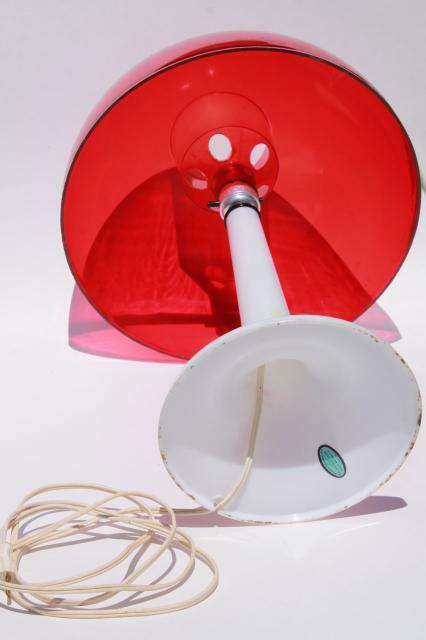 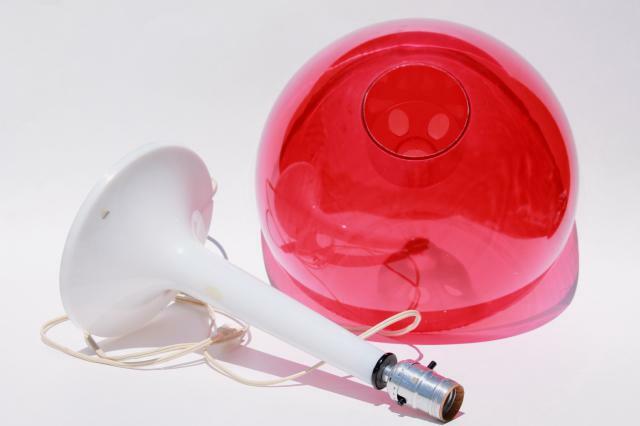 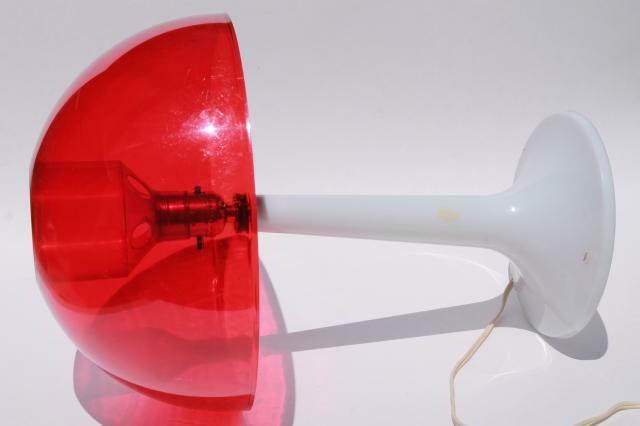 We love this 70s vintage plastic table lamp - it's not in perfect condition, but it works well, and the plastic looks good without much at all in the way of discoloration. 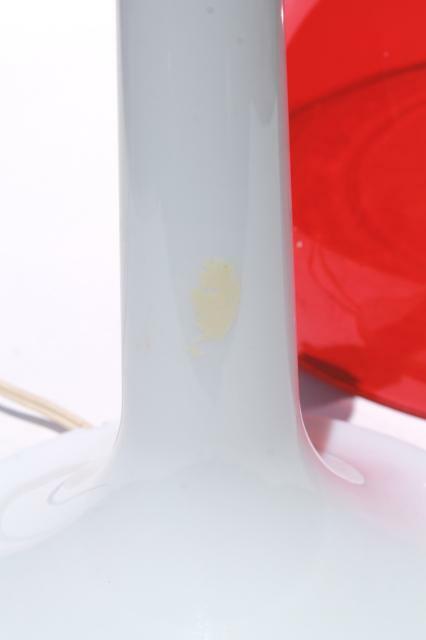 The base is white plastic, and the shade is clear red plastic (like an acrylic plastic?) 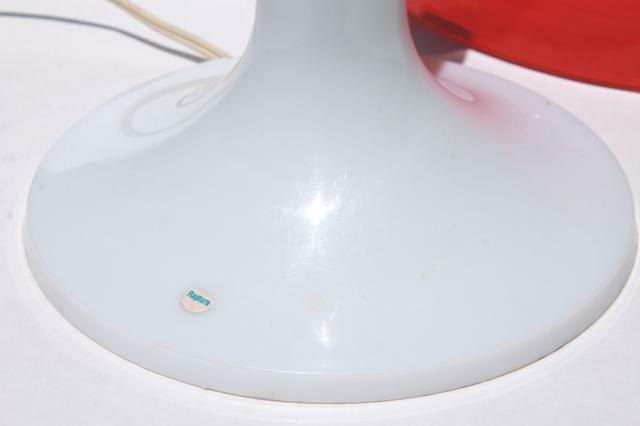 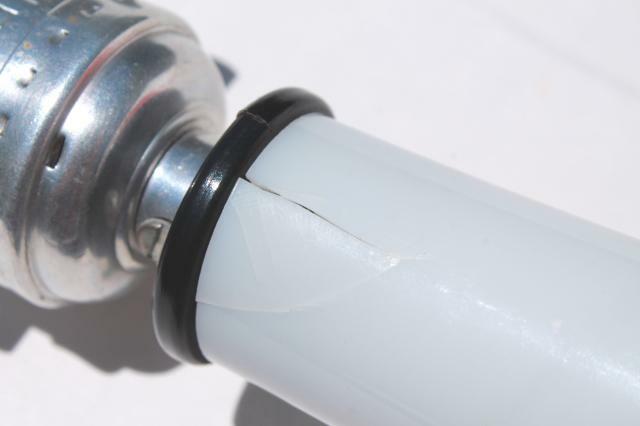 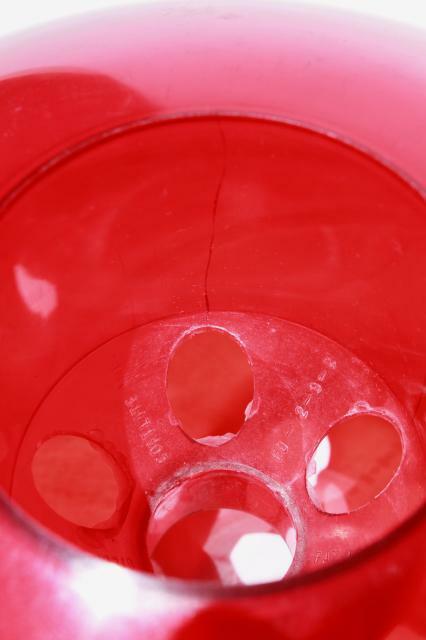 There's cracks to the shade and the top of the lamp base as well. 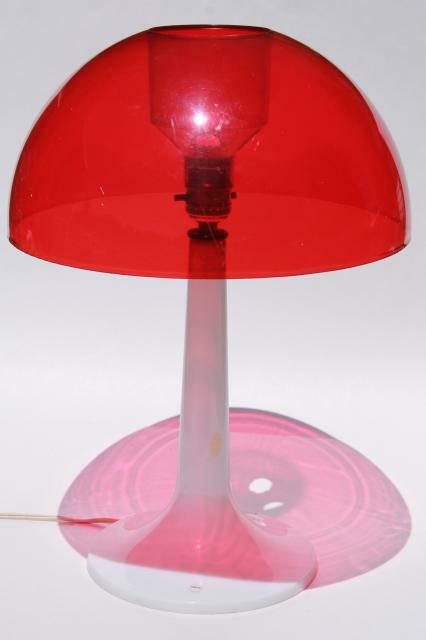 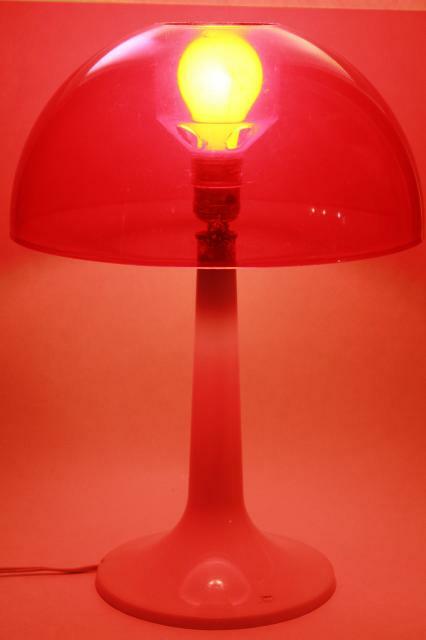 The lamp stands about 17" tall, with 12" diameter shade. 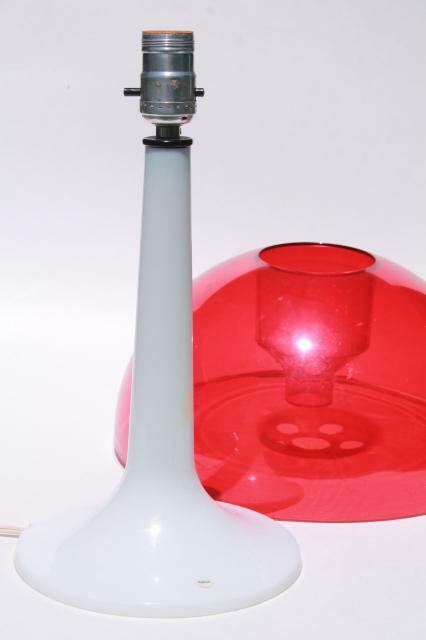 It's like a giant toadstool or mod magic mushroom!